Why this hotel? Excellent staff. Spacious showers. Free WiFi. 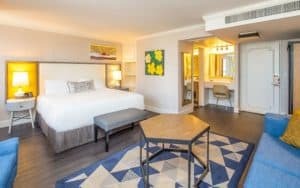 The Keating is a gay-friendly hotel in the Gaslamp Quarter of San Diego, minutes from the city’s best eateries, nightlife, and shopping. 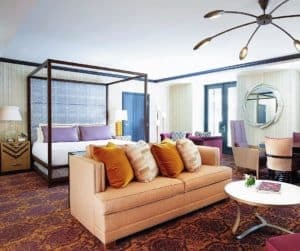 The contemporary guestrooms offer a sense of luxury, offering a HD entertainment system, turn-down service, espresso machines, Egyptian cotton sheets, goose feather down duvet, and walk-in rainforest shower. Take advantage of the hotel’s high quality fitness centre, and free Wi-Fi throughout. Guests favour The Keating for its fantastic location, quality service, and modern decor.